Junior State Cup 2019 – Teams and Squads- Hills Hornets Touch is very pleased to announce the following teams and train-on squads for Junior State Cup 2019. Hornets Welcome 70 New Starters to Touch- On Sunday, 70 young people aged 5-12 years old, descended on the home of Hills Hornets Touch to try out touch football for the first time. Guided by 14 volunteer Coaches and mentors , the enthusiastic group were taken through a series of drills and game scenarios. Changes to Junior State Cup- In February, NSW Touch announced a new format for future Junior State Cups. As part of the announcement, Hills Hornets was allocated to the southern conference to be played in Wagga Wagga. 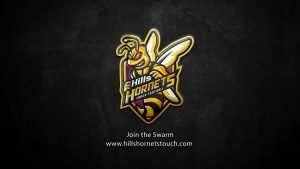 Here is a update from Hills Hornets President – Brad Mitchell.